The Mexican artist Leovigildo González Morillo liked the area so much that, in 1961, he created a huge painting on a rock wall in the Valley of Vinales. Precipitation makes it necessary to renew the color of the painting every once in a while. Of course we can visit this place with our bikes! Built since the Revolution, this mountain community was constructed around a lake to provide a sustainable livelihood for impoverished locals suffering from decades of deforestation. Millions of trees were planted in the 1960s, creating a forest reserve. The community is today a center for ecotourism and has an active artist community. Topes de Collantes is a nature reserve park (and UNESCO World Heritage Site) established in the southeastern ranges of the Escambray Mountains. The vistas are sublime and the air crisp and pine-scented, as we ride past coffee plantations and through stands of Royal palms. The valley was a centre for sugar production from the late 18th century until the late 19th century. At the peak of the industry in Cuba there were over fifty cane sugar mills in operation in the valley with over 30,000 slaves working in the mills and the sugar cane plantations that surrounded them. The entire area covers 100 square miles and includes the sites of over 70 former sugar mills. Our stop at Hacienda-Torre Iznaga is an opportunity to learn about the brutal history of slavery, and to enjoy a fresh-squeezed guarapo (sugarcane juice). The Mausoleum of Ernesto Che Guevara, guarded by a gigantic statue of himself, contains the remains of the marxist revolutionary and his 29 fellow guerrilleros killed in combat during the attempt to encourage an uprising in Bolivia during the dictatorship. The monument was created in 1988, but only in 1997 Guevara's exhumed remains were transferred to Cuba. Santa Clara was chosen as it was the city that in 1958 saw the final battle between the Revolucionarios and the govern of Cuban dictator Fulgencio Batista, fleeing into exile after Santa Clara battle. Cuba, the Caribbean island full of history, is not only famous for its communist regime, but also for its cities, beaches and the hospitality of the people. Discover the secrets of Cuba on this motorcycle tour! Starting in La Habana and heading out West, we ride to Vinales, famous for its beautiful landscape full of limestone rocks and caves as well as for its tobacco fields. Learn about the production of the famous Cuban cigars and taste one if you feel like it. On we ride to the nature reserve of Las Terrazas to take a bath in its beautiful waterfalls before we will visit the museum at the Bay of Pigs on our way to Cienfuegos. Our next stop is the city of Trinidad, part of the UNESCO world heritage and considered by many as one of the most beautiful cities at the Caribbean coast. Curvy streets will then take us up the mountains of Topes de Collantes, where we get to see lush tropical forests and waterfalls and enjoy the view over Lake Hanabanilla. The island of Santa Maria with its white dream beaches and crystal-clear turquoise sea is our next destination, before we head to Remedios and back to the idyllic North to Varadero – and eventually reach our starting point, La Habana. This Cuba tour must be one of the best Edelweiss tours. Excellent riding, varied scenery, history, culture, vibrant colour and vintage cars just everywhere. We even swam in the ocean. The highlight for us was to visit Havana with all its wonderful old buildings and bright 1950's cars. That ride along the Malecon is unique. We also enjoyed riding through the old colonial towns full of colour and character, the roads lined with revolutionary slogans and images of Che Guevara. 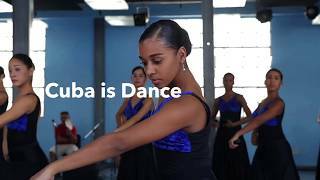 We spent a few days in old Havana before and after the trip taking in the atmosphere, visiting the museums and having salsa lessons. Cuba is a unique destination - thank you Manuel (our tour guide) for your excellent guiding! This was our first motorcycle holiday with Edelweiss. Words can not describe how unbelievably impressive this journey was with our guides Domenico Schiano, Christopher Baker and Anivar Falcon Hayes! Not only is Cuba a country which is incomparable concerning its special character, it is also a perfect motorcycle touring destination, because we felt thrown back in time for a hundred years. There is nearly no car traffic – horses, oxen and carriages dominate the streets. For us it was a perfect combination of riding and an educational journey! Every day, Christopher Baker, a well-known American journalist and travel book author, gave us an understanding of the people, the political system and the characteristics of this country. Through his decade-long experience and his numerous contacts, no matter if sports legends, artist or private contacts to the people who live there, we had the chance to experience this country in a way we have never done before! 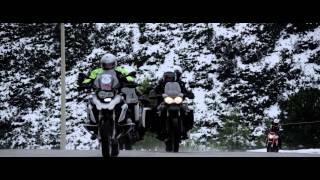 Domenico Schiano shared his enthusiasm for motorcycle touring from the first moment and understood how to bring harmony to a group of bikers from many different countries with his kindness. His experience and the joy he shared every day created an absolutely harmonic and happy atmosphere among the bikers. Never before have we experienced so little problems and disharmony! Anivar Hayes is the good soul from Cuba who always took care for everything by managing all the technical stuff at various places without any problems and without us even noticing. His contacts to the people of Cuba made many things easier and gave us a first-hand experience. All 3 together made it possible to not only experience a motorcycle holiday in a foreign country, but also to have an adventurous and educational journey, which truly is something special in its combination. Last but not least we would like to say a big thank you to Edelweiss’ product management. A perfect travel preparation, great organization and many, super friendly phone calls and e-mails before our tour contributed to making our trip a perfect one – exactly the way we experienced it.